I’ve said the title of this issue a few times before in The 10th Man, here and here. When rates go up sharply, stuff blows up, because lots of people are negatively exposed to higher rates. Households, corporates, and governments are all negatively exposed to higher rates, in different degrees. Back in 1994, we found that it was Mexico, Procter & Gamble, and Orange County, California who all suffered because of higher interest rates. Where does the risk live today? We will soon find out. 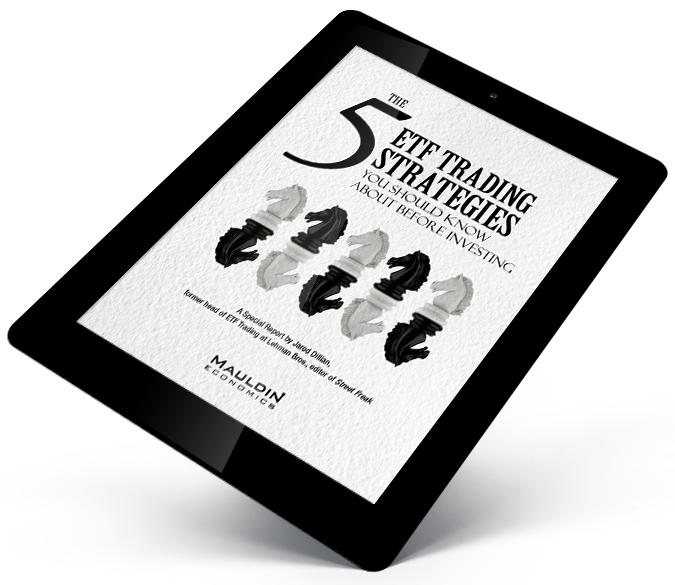 There is a playbook for when interest rates go up. Rising interest rates do not necessarily cause a recession per se, but they are usually found at the scene of the crime. There was no recession in 1994, but the financial world shivered. Today, we have rising rates and a more-hawkish Fed which has shown no signs of letting up. As usual, emerging markets are puking their guts out. 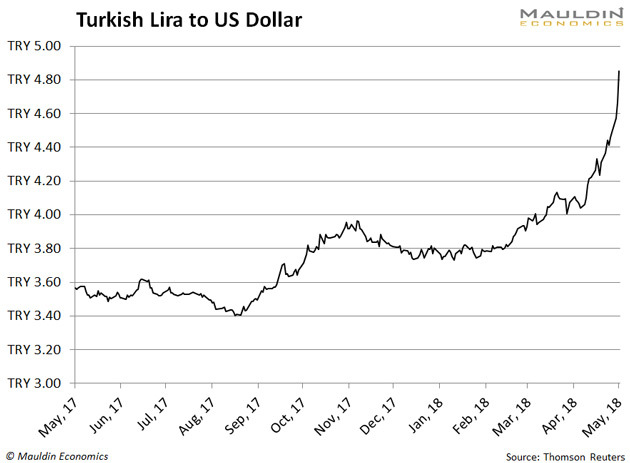 Meanwhile, Turkish President Recep Erdoğan is calling himself an “enemy of interest rates.” He is an FX trader’s dream. 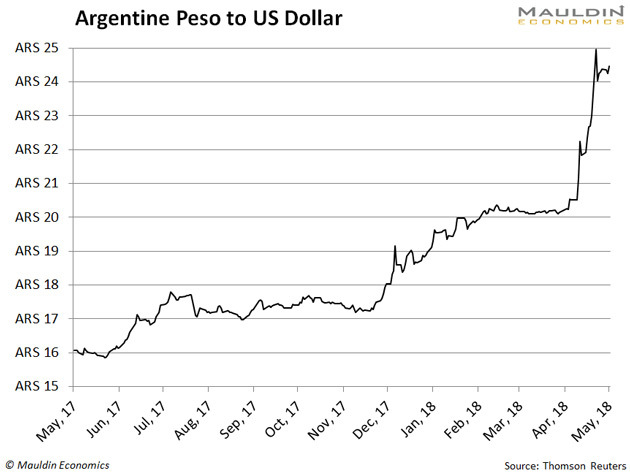 Of course, there are idiosyncratic things going on in Argentina and Turkey, but all EM currencies and stock markets have been getting hit hard. 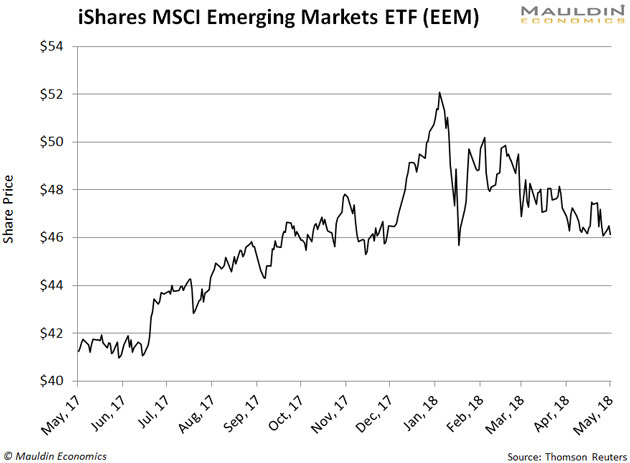 Emerging markets was a consensus pick at the beginning of 2018, so it is making some people look a bit foolish. When interest rates rise in the US, it makes US securities more attractive relative to emerging markets, and capital flows reverse—which is exactly what is happening today. Emerging markets happen to be the most leveraged player when it comes to US rates. But let’s talk about some more obvious examples. Duh. Everyone knows that when mortgage rates go up, it makes it more expensive to buy a house. The first thing people say to me is that the US housing market will crash. No. At least, not everywhere. Most places you go in the country, housing prices are quite affordable. But there are bubbles in some local markets. All of California is pretty much in a bubble. Seattle, Boulder, and Austin have blazing hot housing markets. 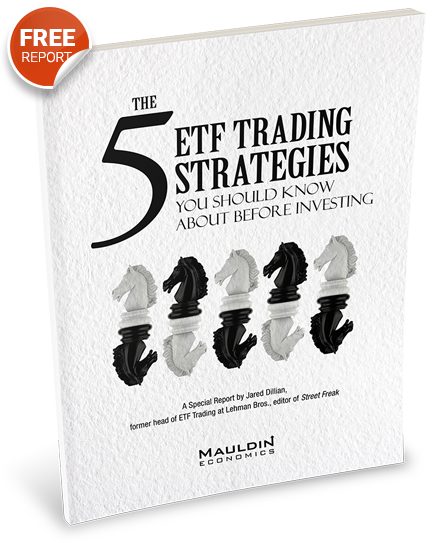 They also have pretty compelling fundamentals. California is a special case—there is a huge amount of housing debt in California (more than you realize), and you can no longer deduct state taxes. If interest rates go up a bit more, and the demographics turn unfavorable, California housing could reprice 20%. Higher interest rates simply hinder economic activity. If the marginal house is too expensive to buy, then you also won’t be buying that paint, carpet, and furniture. Not everybody realizes that the housing market drives a lot of economic activity. Why do you think Canada is still afloat after just about every other sector of the economy has collapsed? We won’t get a housing crash in the US, but a slowdown could take a full percentage point off of GDP. 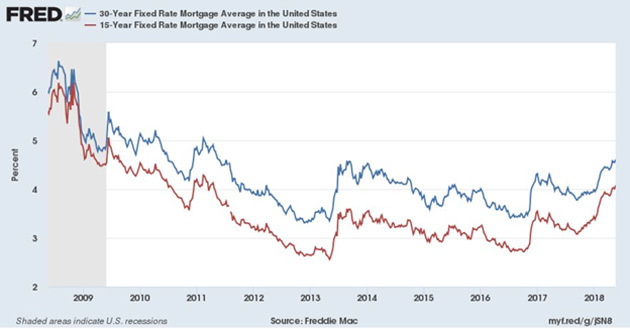 Mortgage rates have risen to 4.61% nationwide. My mortgage is 3.75%. Look at me, I’m warm as toast. On a $250,000 mortgage, your annual payments go up almost $2,000 a year for a 1% increase in mortgage rates. Loan officers are not going to make those numbers work for a certain class of borrowers. Of course, in the past, loan officers have been pretty creative about making the numbers work, but Dodd-Frank was supposed to put an end to that. If we really do have a sustained bear market in bonds (which I am doubtful of), I think the risk is very first-order. The people who will suffer when bonds go down are bondholders. US households hold trillions of wealth in bonds and bond mutual funds. Treasury, corporate and municipal bonds. For the past thirty years, it has been easy to forget about duration—interest rates have only gone down. 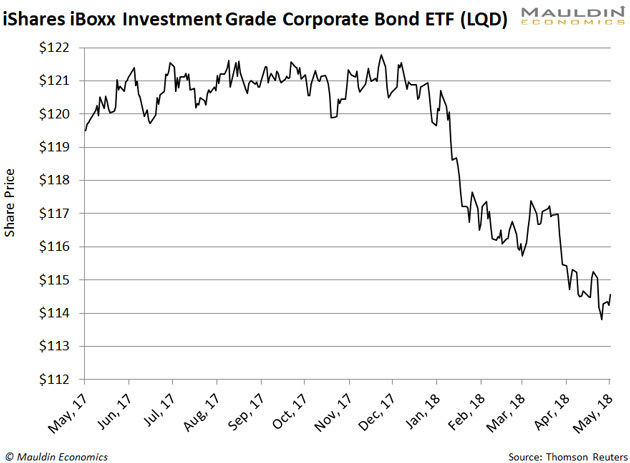 Now, people are starting to figure out that corporate bonds have duration, too, as you can see from the chart of LQD, which is being hit by… higher interest rates. For the past ten years, people have needed income. They got it one of two ways: high-paying dividend stocks and investment grade or high yield bonds. Now dividend stocks are going down for the dirtnap (see Philip Morris) and corporate bonds are getting whacked on duration. People were pushed out the “risk curve” from 2010-2013 so they could try to harvest some kind of income from risky assets, and now the chickens have come home to roost. There may not be another Orange County or Procter & Gamble, but Ma and Pa Kettle may taste the lash yet again (after tasting it in stocks in 2002 and 2009). Individual investors have looked like geniuses for the past eight years because stocks and bonds have gone up together. Increased correlation has made a 60/40 portfolio look like magic beans. Now stocks and bonds are correlated the other way. People are going to be pretty frustrated when they put all that thought into asset allocation, and asset allocation doesn’t help. I know one asset class that works pretty well in a rising rate environment: cash. In case you missed it, check out my podcast with rates/inflation analyst Com Crocker of New Century Advisors. He’s an expert on all the stuff we talk about in this issue of The 10th Man. Check it out.